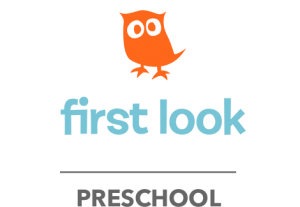 First Look is a curriculum designed for babies through 5-year-olds. Every element centers on giving preschoolers a first impression of their loving heavenly Father. Everything we teach our preschoolers is based on one of three simple, but powerful, truths. The entire curriculum is constructed to meet our preschoolers where they are cognitively, spiritually, physically, emotionally and socially. Through age appropriate activities, preschoolers are building their spiritual foundation so that by the time they graduate to Kindergarten they know these three basic truths. We start with curriculum for Babies, providing a simple song we sing. Toddler curriculum provides a Bible story and craft each week. The real excitement starts when we reach the two-through-fives and there is worship, bible story, and different activities that all tie together to help them learn that days lesson.